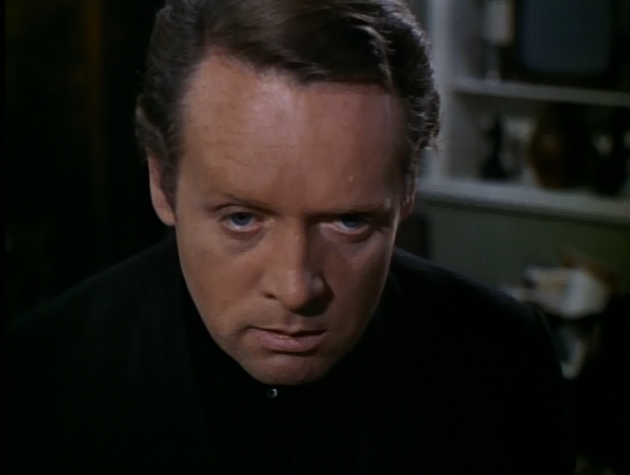 With steadfast zeal and a radical sense of dedication and single-mindedness The Prisoner devotes itself to the ideals of individual freedom and liberty, and finds that contemporary Western society -- here represented by a hermetically-sealed Village -- doesn't measure up. 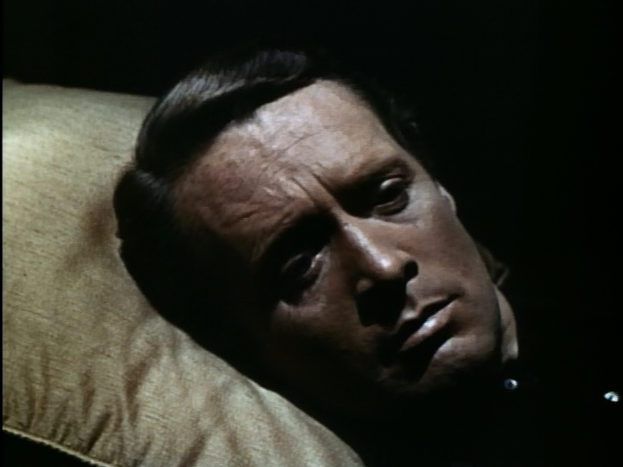 The Prisoner opens with a beautifully-photographed and symbolic montage or introduction that is seen in every one of the seventeen hour-long segments. 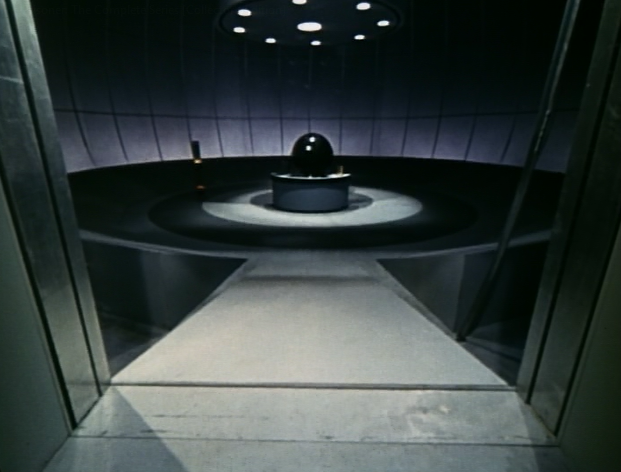 In these "Outré Intro" posts here on the blog-- of which this is the first -- I'll explore the visual symbolism of specific cult-TV series introductions. 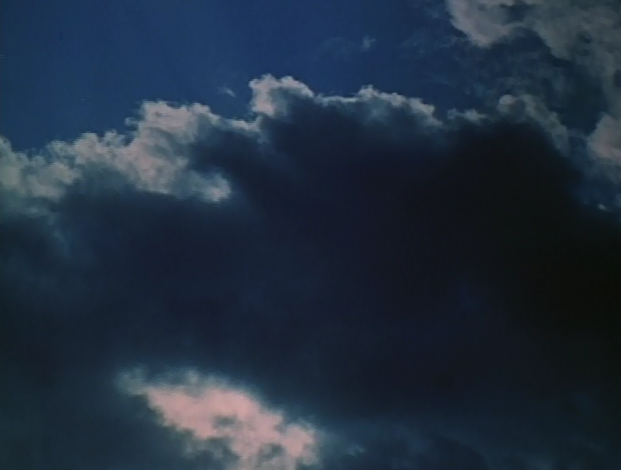 The Prisoner intro montage begins with a storm in the sky. 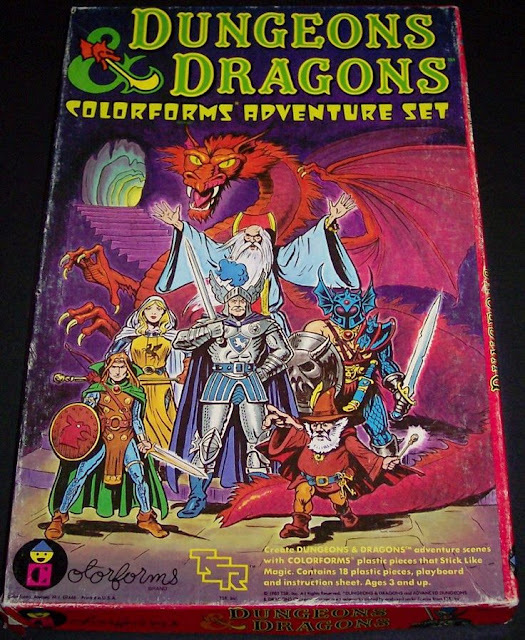 Images of dark clouds form and roil before our eyes as a thunderclap blares on the soundtrack and Ron Granier's theme song commences. 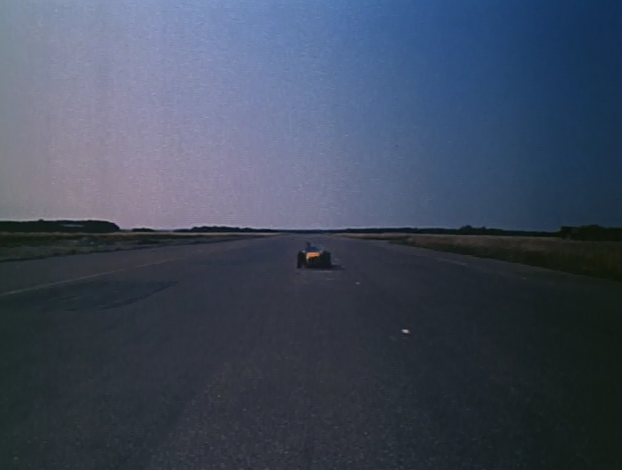 Next, we are gazing at an image of pure personal freedom: a solitary man driving a small sports car down a long, empty road, the wind blowing his hair. 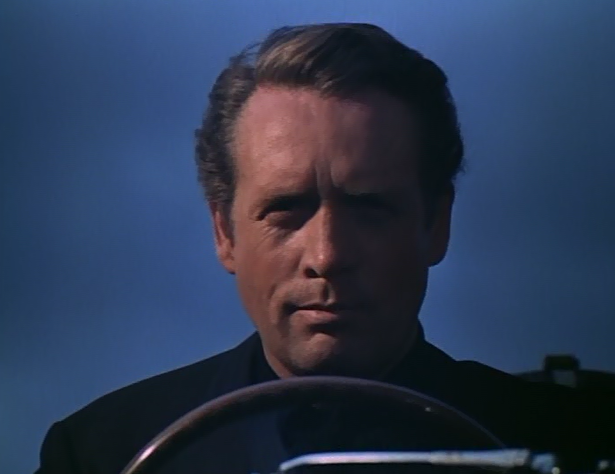 This dashing driver then pulls into 1960s metropolitan London, enters a parking deck. 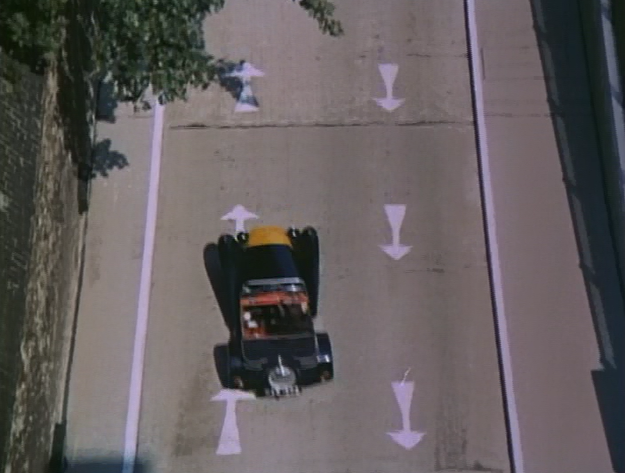 We see the shot of his speeding car at an ominous over-head or extreme high-angle, suggesting menace and entrapment. The sense of unfettered freedom is now gone. 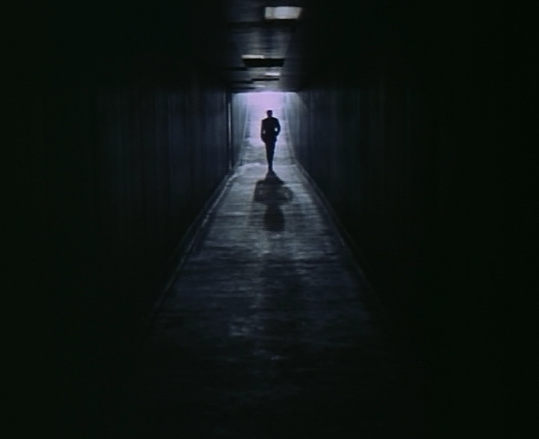 The driver leaves his car and marches decisively through a dark subterranean complex. The only light in the frame is near our hero or protagonist, as if he is the only source of "light" (or freedom...) in the labyrinth. 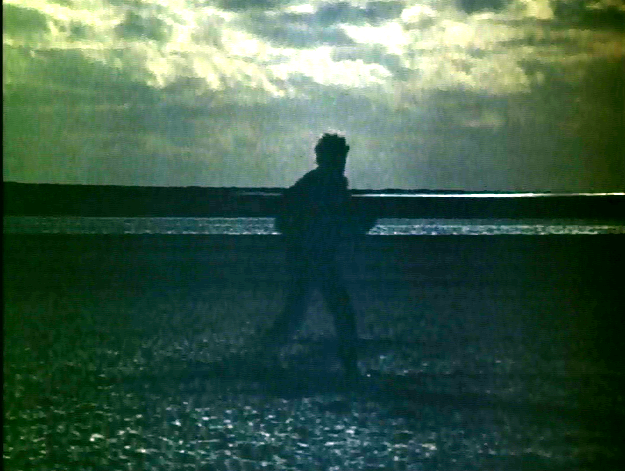 We see this purposeful man walk a long, narrow hall, his feet accelerating. 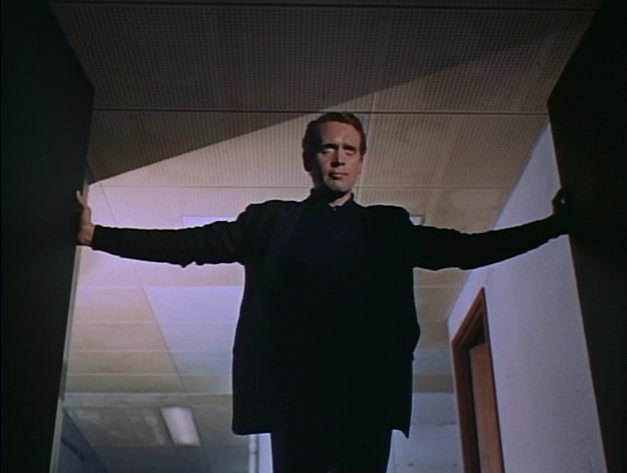 A low-angle shot reveals him swinging open double doors with anger; the choice of camera angle informing us he is powerful, menacing even, and about to establish his independence. The pose, while defiant, also resembles Christ on the Cross. This means that the man could be a.) a savior, and b.) about to get crucified. 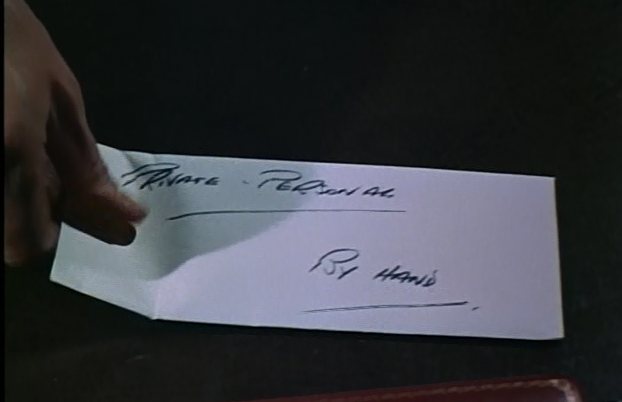 Also written on the envelope are the words "by hand," which again suggest humanity, and we thus contrast this approach with a more computerized, less-personal one. 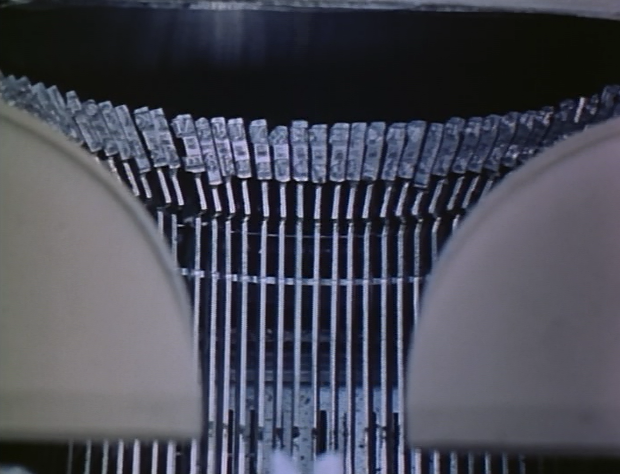 Two things about this portion of the opening montage feel ominous so far. First, there is no "live" sound (meaning no human voice), so that even as this courageous man asserts his freedom of self-determination and free speech, the audience is denied the substance of his arguments. Literally, his individual voice is squelched. Clearly, this is a portentous moment. All is not as the Man believes it is. He is expressing himself loudly, but to the audience this is futile...he is silenced. His words are drowned out by something more powerful. In this case, the thunder represents or symbolizes Big Brother's power. The man, a government agent we presume, then leaves the office. 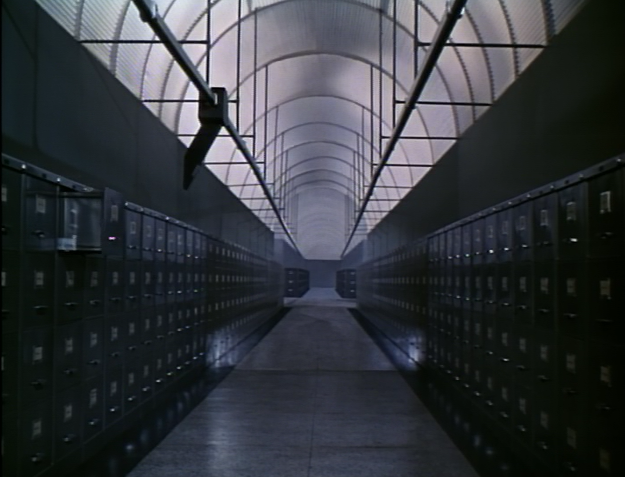 Here, The Prisoner's opening montage trenchantly inter-cuts between a free man who has rightfully asserted his will, and the automatic mechanisms of a vast, overreaching, impersonal bureaucracy. Contrast the letter envelope seen above -- hand-written and personal -- with these images of technological bureaucracy at mindless, computerized work. To describe these images another way: as this man plans his future his own way, the State initiates a contradictory strategy. 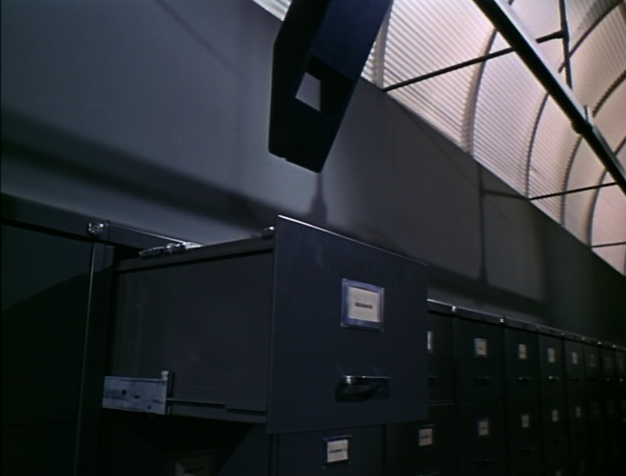 a robotic machine stamps out his personal ID Card with a row of "XXXXXX", and then dumps it in a file cabinet marked "RESIGNED." The man awakes some time later. He is disoriented, but goes to his window. 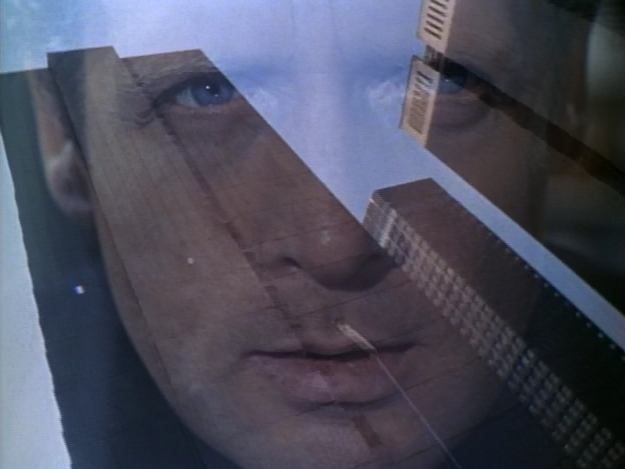 Before the audience can see what he sees, however, we view a reverse angle of the man looking out the window, and the frame of that portal creates a kind of prison effect. 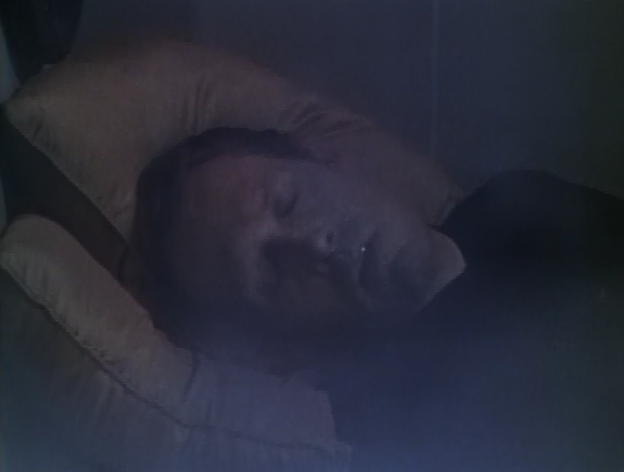 He is visually entrapped by the criss-cross on the panes. 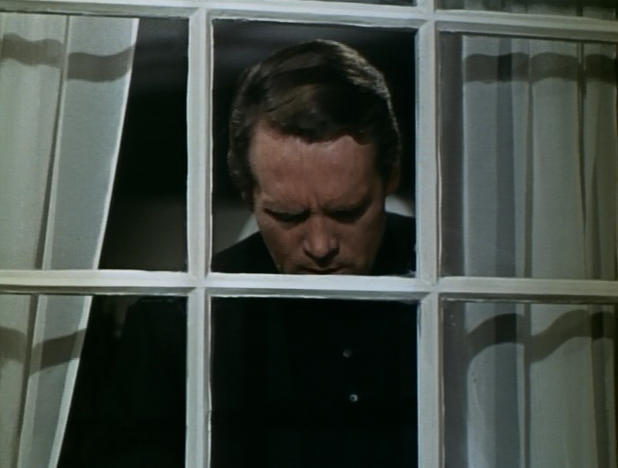 The Prisoner looks outside, and finds himself in a different locale, a strange little burg, "The Village;" a place that's a bizarre melange of Old World architectural-styles and modern conveniences. It's an odd combination of idyllic past (where almost everyone wears a hat and carries an umbrella) with the impersonal technological present (public telephones, information kiosks, etc.). 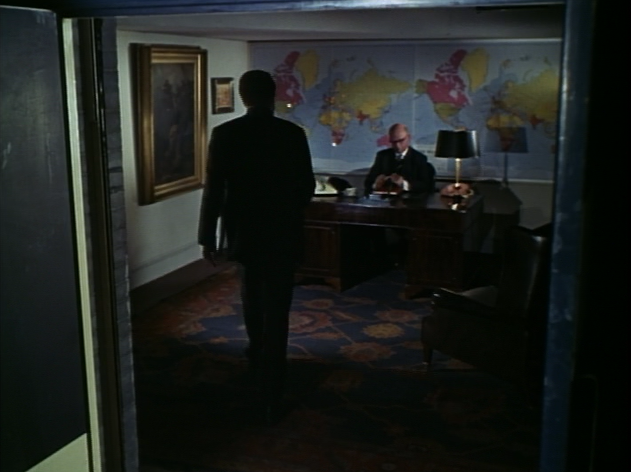 After this view (and an episode title card), we hear the words of the man being interrogated as well as his interrogator. This interrogation is accompanied by views of a technological sort of office or command center. The man (McGhoon) asks where he is being held, and is told that he is in the Village, and that his captors want information. By hook or by crook, they will get it. 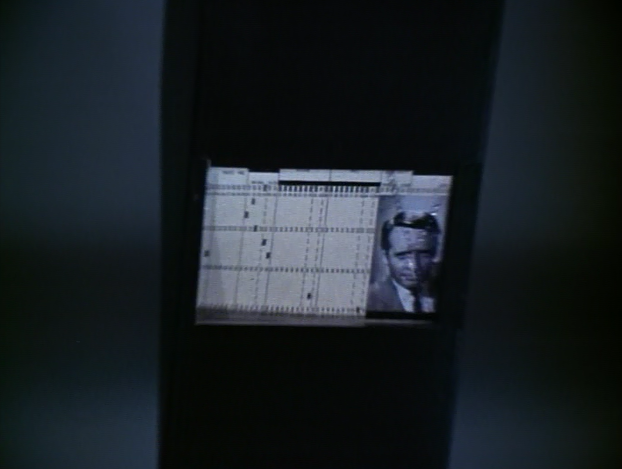 The Prisoner asks who is in charge, and told that he is Number Six. The man argues that he is not a number, but a free man. His captor, Number #2...laughs at him. Finally, we see a barrage of images showcasing the fact that there is no escape from the Village. 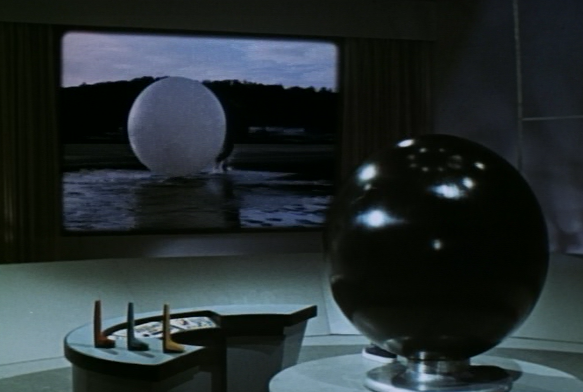 We see the Prisoner running across a variety of landscapes, blocked by the balloon-like sentry, Rover, and finally, falling under the all-seeing eye of Village electronic surveillance. 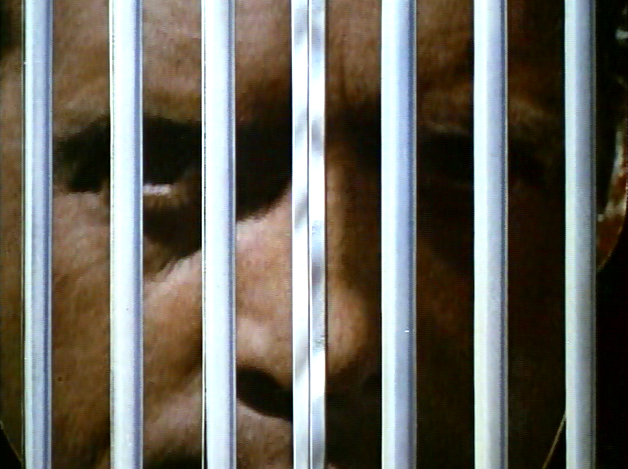 The last image of this intro is the Prisoner raging at the Heavens for his captivity, for his loss of freedom. 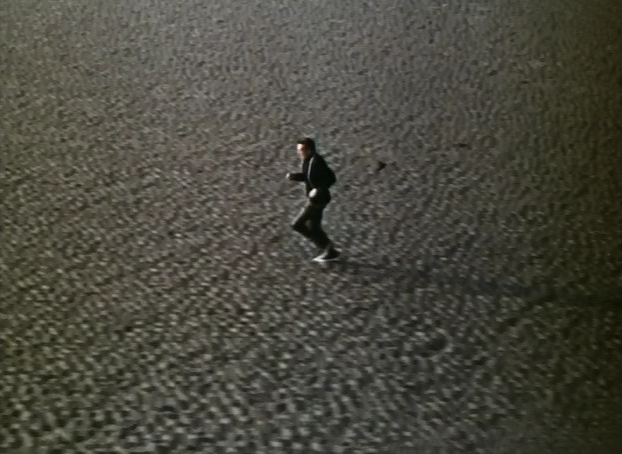 In just a few short minutes, then, and with powerful imagery, The Prisoner describes the back-story of its lead character, his philosophy about freedom (and society's role in his freedom), and establishes his captivity...and rage. 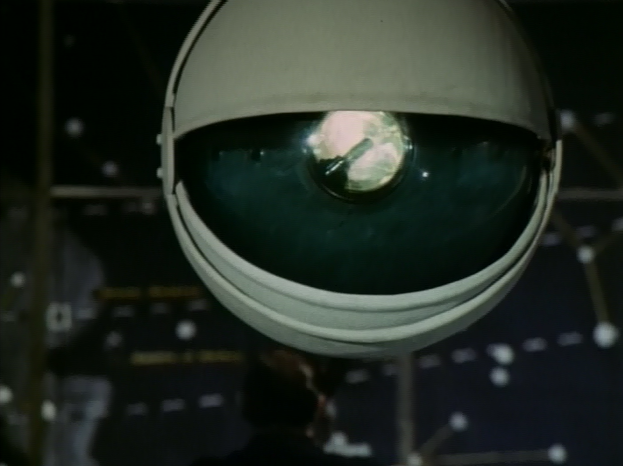 Quite simply, this is a masterful TV series introduction, which captures every aspect of The Prisoner's thematic material, from the overwhelming nature of the modern technological state, to the specter of state-sponsored torture. The sequence reveals how freedom is taken away by the State's desire to know...everything. 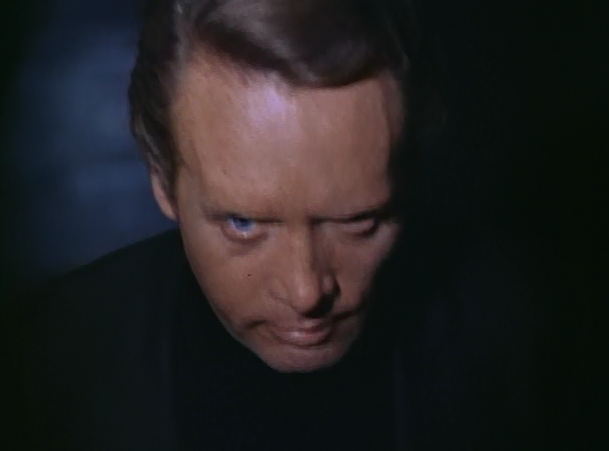 John brilliant analysis of the visual scenes of the original PRISONER series. I think that the message about society is still relevant today in America with revelations of the NSA activity et.al. Two episodes out of the seventeen do not open with the customary montage. "Living in Harmony", banned by CBS on the series initial airing, uses a western variant, with Number Six racing in on a horse to resign his sheriffs badge before being set upon by rough cowboys and overpowered. 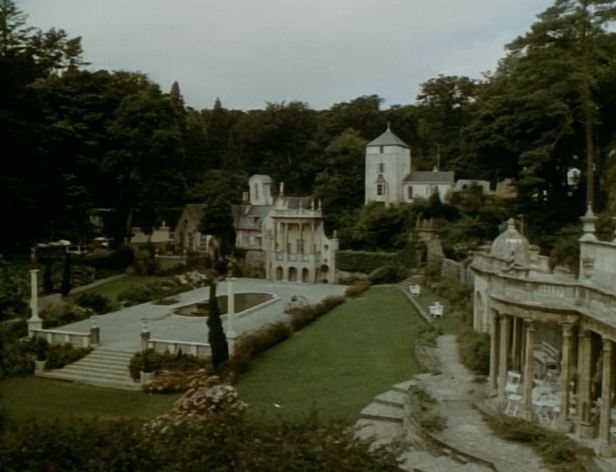 The final episode, "Fall Out" opens with an extended reprise of scenes from "Once Upon a Time", before we get a helicopter shot of the Green Dome and the episode title as the music kicks in triumphantly, as the camera tracks over the Portmeirion grounds. 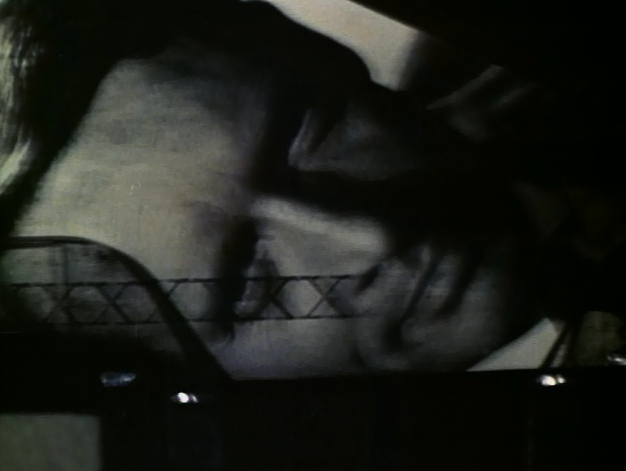 That final episode, however, does end with the opening shots of the classic montage.